Our clients own words are our best indicator of our past success. Our goal is to create long-term partnerships and market-savvy brands for our clients. For more than 10 years, b-design has worked consistently with Bankwell to support essentially all of our design and graphic needs including creating and producing print and digital advertising, point of sale, brochures, annual reports, signage, graphic presentations and many of our website needs. The partnership has been especially effective because b-design provides timely, reliable, consistent work that’s creative, collaborative and professionally produced. I would highly recommend b-design and am happy to give a personal reference. 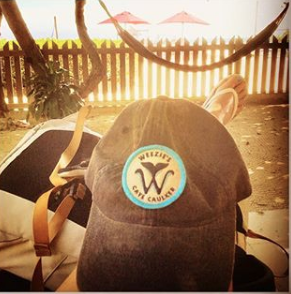 We enjoyed working with b-design on our previous hotel identity and came back to Carey Jones to brand our new project Weezie's Oceanfront Hotel, Caye Caulker. Our property is located in on a barrier reef in Belize and her designs had the right amount of personality and elements of the ocean but kept the upscale clean look of the property. 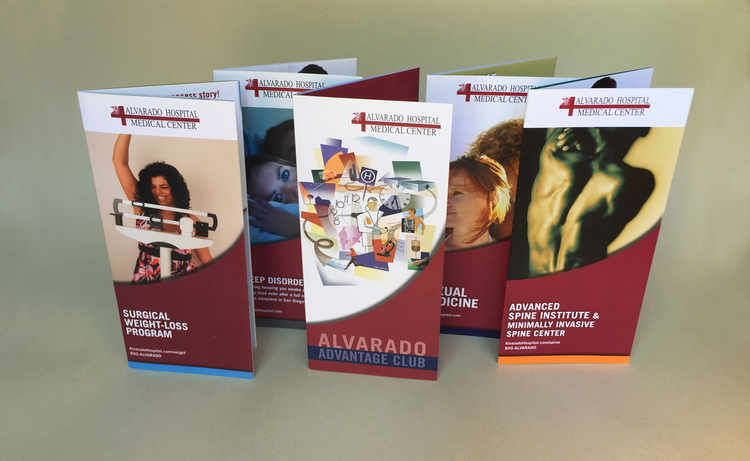 b-design has been a consistent resource for Alvarado Hospital over the past 9 years. Our collaboration includes advertising campaigns, brochures, corporate newsletters, event logos, invitations and other support materials. I appreciate the timeliness, reliability and creativity of their efforts. Our valued long-term partnership has been consistent because of their clear communication, creative expertise and professional attitude. I recommend b-design for any business that values those skills. I am in Interior Designer and have had an excellent experience with Carey Jones and b-design. I had previously worked with Carey on marketing materials for a local non-profit. I always appreciated her creativity as well as her attention to timelines and budgets. Carey did a beautiful job on my business cards and materials for my Interior Design business. When I need to extend my brand to include a website I knew I wanted to have b-design create it for me. Carey really listened to my needs and executed the clean lines and elegant look that is characteristic of my design aesthetic. I look forward to working with b-designs again. Designing the logo for a business consulting organization is a tall order. B-Design met the challenge. The process was straight-forward. Carey asked specific questions about what message we wanted our logo to convey, the details of our business model and more obvious questions about color etc. Very quickly our leadership team received concepts and we selected our favorites. Within a short period of time we had computer designs to choose from with color variations and mock-ups of letterhead, business cards etc. The finalized choice was delivered with a timely turnaround and with all the variations we needed for our future business needs. B-Design understands how to get to the heart of the matter with minimum fuss. Our time was valued and our ideas respected. B-Design is right-sized to deliver personal attention and a very professional product. We will be back. When we approached Carey Jones and b-design about developing our logo, we had three requirements. We wanted our logo to incorporate Morgan’s initials, be a mark that could live anywhere, and not look childish. What she delivered was beyond our expectations—a sophisticated logo that proudly reflects our story and mission. The Morgan Leary Vaughan Fund is a public charity dedicated to a rare disease that predominantly affects premature infants. Named after my son, it celebrates his survival, courage and strength. When we launched our natural history registry earlier this year, we knew that Carey had to be the one to design the logo. Carey listened as I described what we wanted this new logo to be. Then, she created not only a beautiful stand-alone logo, but also a beautiful extension of our brand. Carey is a skilled visual communicator who can effectively translate your idea into more than you could have imagined. Carey at b-design graphics is incredibly responsive and the quality of her work is exceptional. I don't have a single complaint, would highly recommend her, and look forward to working with her again. I loved collaborating with her over ideas as much as I loved seeing what she came up with in response. Carey is our go-to person.